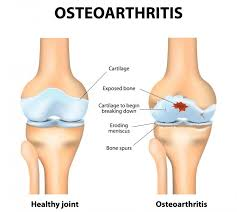 Osteoarthritis is one of the top ten disabling diseases in developed countries. There are approximately 2.1 million people living with this debilitating disease in Australia (Australia Institute of Health and Welfare. 2017). Osteoarthritis (OA) is a degenerative joint disease mainly affecting the articular cartilage. In healthy joints, cartilage covers the surfaces of the joints which allows smooth movements and helps to absorb shock. In OA, the cartilage of the affected has worn away until little or none remains resulting in the opposing bones rubbing together. New bone can also form around the joint surfaces causing pain and decreased range of motion in the joint. OA can affect any joint in the body however the most commonly affected joints are the knees, hips, lower back, neck, small joints of the fingers and bases of the thumb and toes (Arthritis Foundation. 2017). Risk factors for developing OA include; age, mechanical overuse, obesity and joint injury. There are many types of exercise that are beneficial for individuals with OA including; aerobic exercise, resistance training, flexibility exercise, aquatic exercise, tai chi and balance training. Each program should be designed specifically for the individual factoring in their age, functional ability, exercise history and co-morbidities. The current exercise guidelines recommend at least 150 minutes per week of moderate intensity aerobic activity, 75mins of vigorous aerobic activity or an equivalent combination of both (Exercise is Medicine. 2014), this could include walking, cycling or swimming. Individuals should aim to accumulate at least 30-60mins per day to reach their weekly goal of 150 minutes. Individuals should also complete resistance training 2-3 times per week (non-consecutive days). With programs designed to focus on building muscular strength for the muscles surrounding the effected joints. 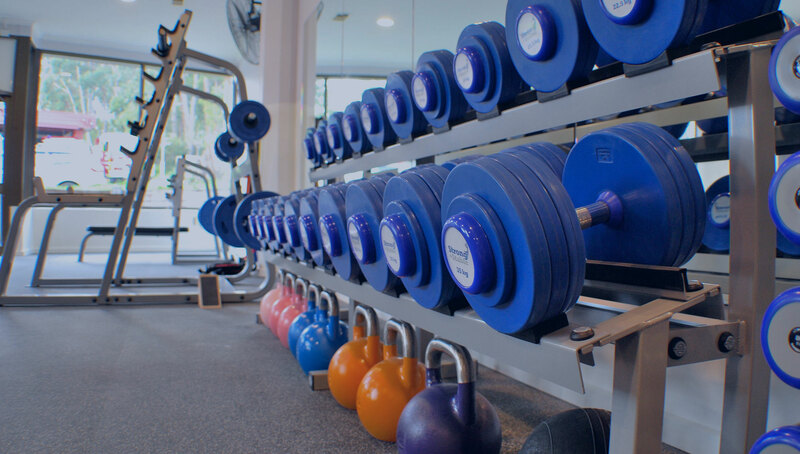 Resistance training can not only help decrease joint pain and stiffness but it can also help decrease body weight which can reduce the loading placed on the joints (especially the hips and knees). An Accredited Exercise Physiologist can help design and implement a tailored exercise program that is suited to your current exercise capacity, disease signs and symptoms as well as your own personal health and fitness goals. They can assist you in developing correct exercise techniques, how exercise can help improve your condition or signs and symptoms as well as progress to self-management. Before starting any new exercise program, you should always see your doctor for a full medical examination. Your doctor will be able to assess all parts of your current health to establish whether you are ready to begin an exercise program. Avoiding repetitive and high impact exercise may be necessary for individuals with OA as this type of exercise can place to much strain on the effected joints and may lead to further injury. Some discomfort can be expected in the effected joint during exercise however a substantial increase in pain or swelling during or after exercise can indicate that modifications to your program may be necessary. If this does occur during your session, ceasing exercise and the use of ice may be useful in decreasing the pain and swelling.